The following unsigned editorial is from the March 23 issue of The Catholic Register, the Toronto-based national Catholic Canadian newspaper. Almost six years ago the Catholic Register reported that the world’s 193rd nation came into being facing an uncertain future. That was South Sudan in 2011, when it was born as a sovereign nation and swore in its first democratically elected president, the Catholic general Salva Kiir. Emerging from a 22-year war of independence against Islamic Sudan, South Sudan was desperately poor, mostly illiterate and had the world’s highest mortality rate. Yet there was a sense of hope as peace finally dawned and brought with it the light of a new beginning for an oil-rich nation. But the promise was false. South Sudan remains destitute, violent, barely democratic and now plunging into a war-induced crisis of mass starvation which, according to the United Nations, could impact 5.5 million people by the summer. This humanitarian emergency recently prompted Pope Francis to appeal for international intervention and muse publicly about a possible papal visit to South Sudan sometime this year to kick-start a dialogue for peace. 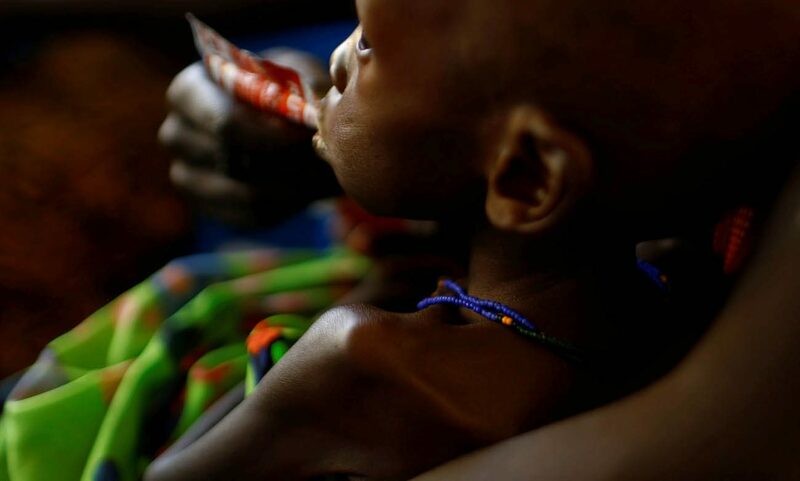 Unlike parts of Africa where drought has caused famine, South Sudan is starving also because the harvest of crops and distribution of food has all but dried up due to war. Farms have been deserted and roads made impassible by government and rebel troops which, on both sides, have engaged in what local bishops describe as “scorched-earth” tactics against civilians. The pope now concedes that security issues make a papal visit to South Sudan improbable, but he continues to urge the world community to become engaged in the unfolding crisis. The situation has spiraled into chaos in the six years since the nation’s birth was accompanied by a spirit of reconciliation. Back then, speaking at the cathedral in the nation’s capital of Juba, the newly elected president asked his people to be “like Jesus on the cross” and forgive the Islamic government of Sudan following a conflict that caused some 1.5 million deaths. Today, it is Kiir and his South Sudanese opponents who should seek forgiveness for the misery they’ve inflicted on their own citizens. The United Nations estimates that 3.4 million people — more than a quarter of the population — have been forced out of their homes, including 1.5 million refugees who have fled the country. Government soldiers and rebels have contributed to the famine that is forecast to peak this summer. International aid agencies are routinely blocked from delivering humanitarian relief, leaving various Church organizations — priests, nuns and lay volunteers — as the only relief workers in many parts of the country, and in constant fear of attack. It’s no place for the pope to visit, but neither should South Sudan be forgotten. As famine looms, it is crying out for the world’s attention. The views or positions presented in this or any guest commentary are those of the individual publication and do not necessarily represent the views of CatholicPhilly.com, Catholic News Service or the U.S. Conference of Catholic Bishops.